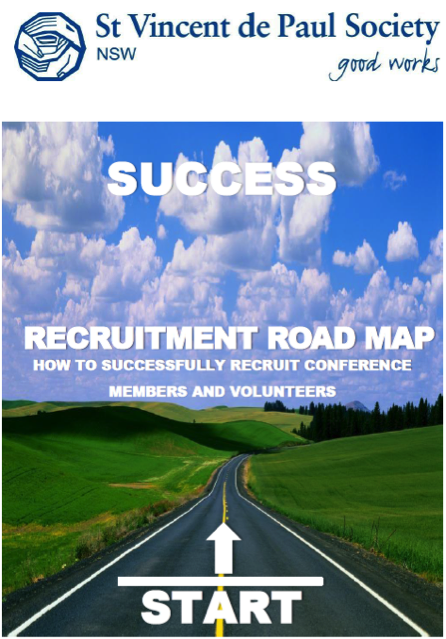 The new Recruitment Roadmap resource is helping Conference Financial Wellbeing (CFW) pilot Conferences to recruit new members and is thereby increasing their capacity to spend more quality time with clients – which is key benefit of the CFW approach. Cecily very successfully adapted the principals of The Recruitment Road Map, a new resource produced by the Engagement and Support team providing a comprehensive guide to recruiting members. She delivered a powerful and engaging pulpit appeal at all the St Augustine’s Parish masses. She quickly followed up the enquiries and responses received. Conference members also used the networking skills they learned in the Recruitment Road Map to “tap people on the shoulder” and “invite them along for cup of tea and a chat about the work that Vinnies Conferences do”. The results have been outstanding with seven people either joining the Conference or the homework club for refugee and migrant children. Pictured are Cecily and two new Conference members, Leon and Colleen, who have participated in the CFW training. 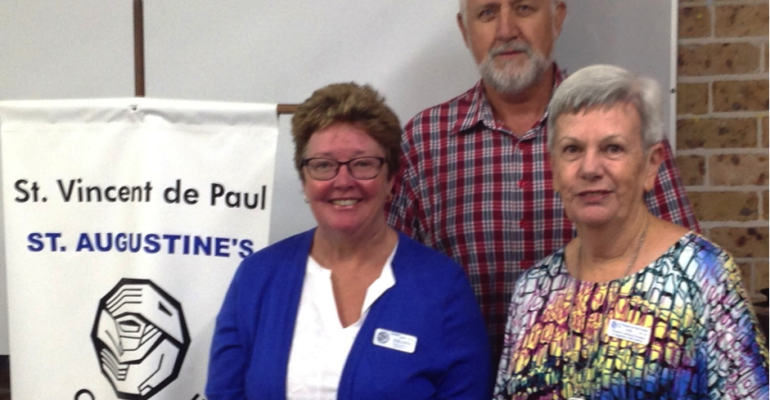 Staff within the People and Culture Division at the State Support Office work in partnership with support staff across NSW to provide relevant and on-going support to recruit and retain members and volunteers for the Society. Get the latest member and volunteer content first.